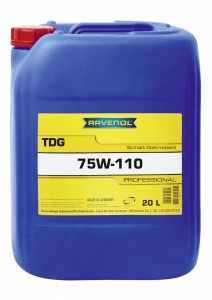 RAVENOL TDG 75W-110 "Total Drive Line" is a fully synthetic low viscosity manual transmission oil with high quality base oils and a specially co-ordinated additive treatment, allowing it to exceed the requirements of modern manual transmissions and hypoid differentials. 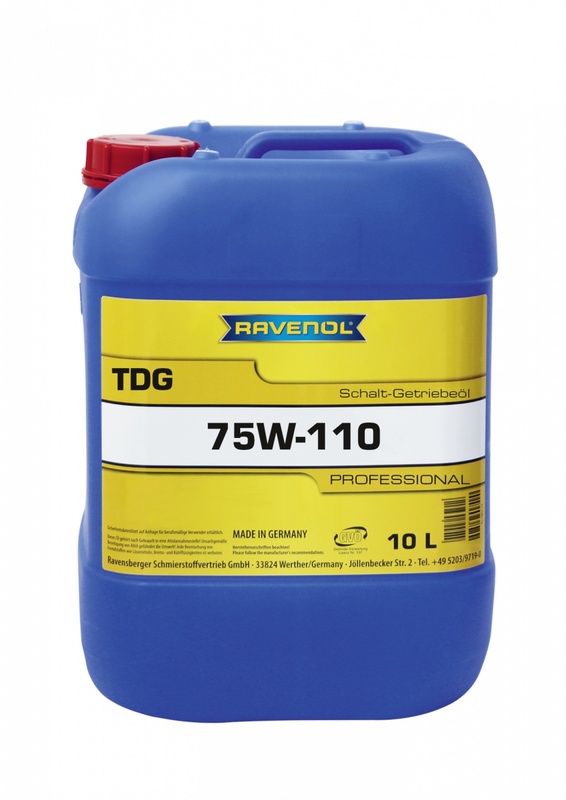 It is a universal product suitable for passenger cars, delivery vans and heavy trucks requiring this specification of transmission fluid. High protection from rust, corrosion, foaming. Good shifting behaviour in low temperatures. All indicated data are approximate values and are subject to commercial fluctuations. Payment can be made either by PayPal or by Credit / Debit Card using the secure Barclaycard checkout. We take VISA, Mastercard and Maestro. Unlike some Online Shops we do not charge extra for Credit Card payments. ATTENTION TRADE CUSTOMERS: In addition to the above payment methods, and subject to credit references, we can offer you a 30 day account. You can apply for a Trade Account HERE - once approved you will receive your own personal access code which allows you to see your net purchase prices and choose payment against invoice. You can of course also order by phone or by mail if you prefer. If you are ordering on behalf of a company registered for VAT within the European Community you can order without paying UK VAT. Once you have filled out your address details in the Check Out simply put the VAT number in the box provided - this will automatically be checked against the company name and, if approved, will deduct the VAT from your order. NB. Please enter the number without spaces or punctuation. For deliveries within Mainland UK we have a standard charge of £5.95 including packaging and VAT, based on a single delivery address per order. The carriage charge will be automatically calculated and appear in the Shopping Basket. Orders with a net Basket value over £59.00 qualify for free delivery. We can normally deliver to most UK addresses next working day for orders received before 9 a.m Monday - Friday - please note however that DHL Parcels UK say this may not be possible in some remote areas. Once the goods have left our UK warehouse you will receive an E-Mail with the DHL Parcels UK tracking number and your VAT receipt. We can now offer next working day service to most areas, again for orders received before 9 a.m Monday - Friday. Please choose the option "Scottish Highlands 24H" in the Shopping Basket and the carriage charge will be automatically calculated - order value under £70.00 the carriage charge is £14.95, between £70.00 and £150.00 this reduces to £6.50 and orders over £150.00 qualify for free delivery. We can now offer two working days service to most areas for orders received before 9 a.m Monday - Friday. Please select "N. Ireland 48H", "Isle of Man" or "Jersey & Guernsey" in the Shopping Basket and the carriage charge will be automatically calculated - order value under £70.00 the carriage charge is £14.95, between £70.00 and £150.00 this reduces to £6.50 and orders over £150.00 qualify for free delivery. We can now deliver direct to most European countries. Once you have placed your order in the shopping basket choose the country of destination. Belgium, Czech Republic, France inc. Monaco, Germany, Luxemburg, Netherlands, Republic of Ireland, Spain: order value under £70.00 the carriage charge will appear in the Shopping Basket once you have chosen your country, between £70.00 and £150.00 this reduces to £9.95 and orders over £150.00 qualify for free delivery. For other European Countries the cost of delivery will automatically be calculated in increments of 20kg. That means the charge will increase proportionatley if your order is for more than 20 kilos / 20 litres. The total weight of your order including packaging is shown in the Shopping Basket. If your country is not shown please contact us for a specific rate. Track your Order: Orders are shipped via DHL Parcels UK, who collect daily from our UK warehouse. If you include your mobile phone number when checking out you will automatically receive an SMS from DHL Parcels UK confirming that the goods have been collected from our warehouse and informing you of the expected delivery date. Deliveries are normally made Monday to Friday between 9.00am and 6.00pm. Once the goods have left our warehouse you will receive an E-Mail with the DHL Parcels UK tracking number and your VAT receipt. We normally deliver the next working day to most of the UK for orders received before 9.00am Monday - Friday whilst European deliveries will usually take less than 3 working days (i.e. Monday to Friday inclusive), unless we contact you to advise otherwise. If you have asked for the parcel to left in a safe place, we will convey this instruction to the courier but cannot guarantee this will be done as the service is a POD service and items left without signature are at the discretion of the driver. Carriage charges reflect our own net costs - we do not make a profit on carriage! If you have any queries regarding our carriage charges or delivery to an address, please contact us.